The Australian Kanzi harvest is under way, with first fruits from the eastern states harvested in mid-March. Harvest in South Australia and Western Australia is starting one week later. 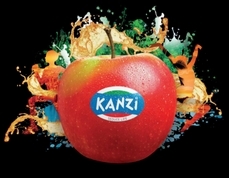 Des Muir, Manager of the Kanzi apple brand in Australia, says excellent quality fruit is coming off the trees. Production is estimated at 5.5 million kg, with plantings since 2007 totalling 630,000 trees. Kanzi production continues its significant growth, in line with the planned planting program. There are 630,000 trees currently planted, with an additional 120,000 trees planned for the next two seasons. No further plantings will occur unless the market clearly indicates that more fruit is required. Over the past decade Kanzi demand has continued to be well in front of supply. Des Muir says the Kanzi group believes that strong demand will continue, due to the controlled planting and controlled marketing. As production has increased, the Kanzi group has been able to increase promotion funding, and this year’s program is significantly larger than last year. To coincide with first fruit being available, season launches are being held for key food writers, broadcasters and social media influencers in both Sydney and Melbourne. 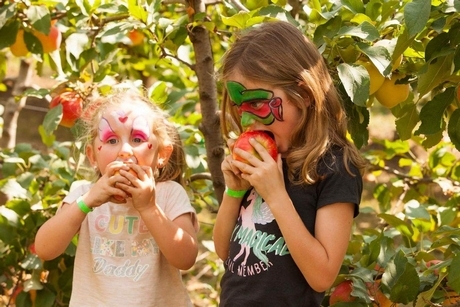 At the same time and in a world first for Kanzi, a “Pick Your Own Kanzi” weekend is scheduled in Victoria’s Yarra Valley, aimed at generating additional media coverage and consumer interest. Increased promotional allocations have been made to each retail sector and programs have been developed collaboratively with major retailers. Consumer promotions include an expanded program of national radio and outdoor billboard advertising is under way, based on success in previous years. Export development is also on the agenda, with test marketing and trial shipments this season in selected South East Asian and Middle East markets. 2019-03-25 "Our pre-season volume estimates have tripled, creating a bumper year for us"
2019-03-07 "We've invested three years and a lot of money into building this vision grading system"